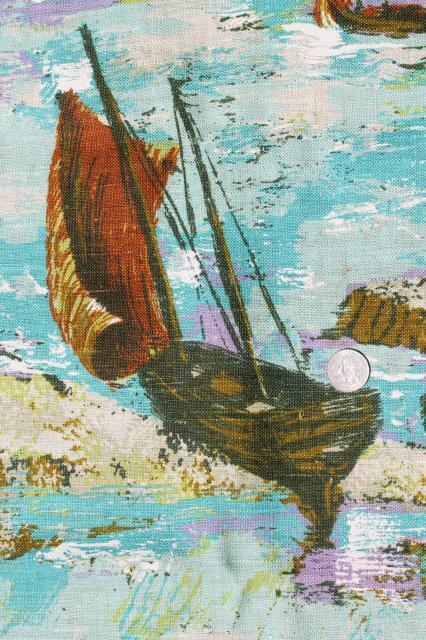 Vintage (70s?) 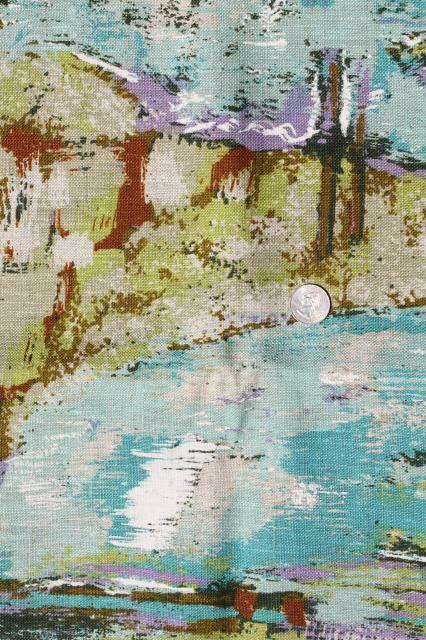 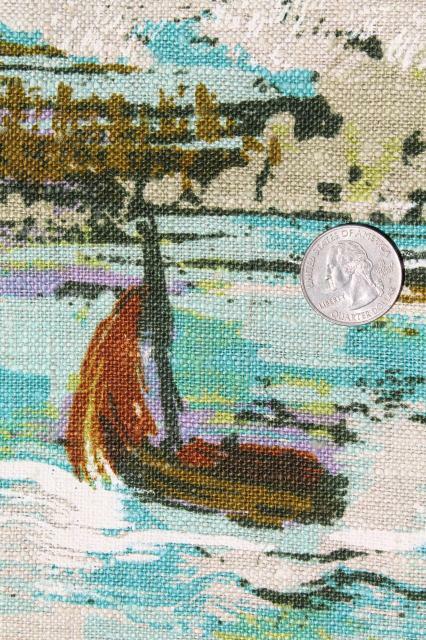 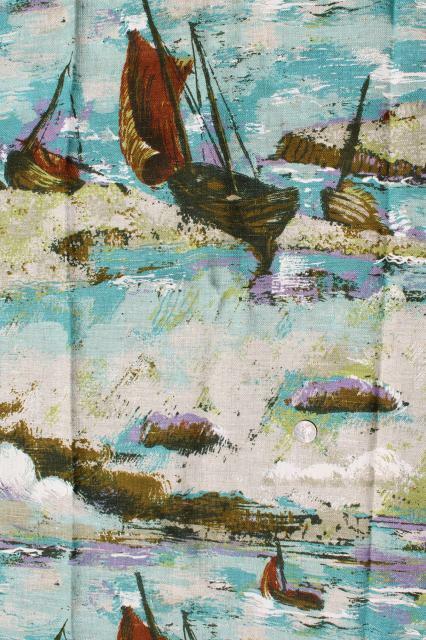 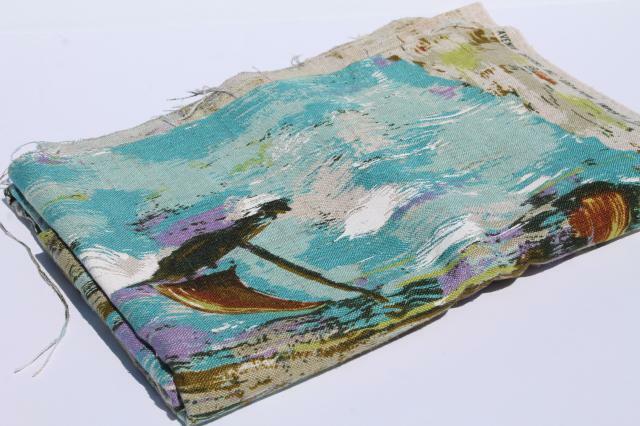 Fifth Avenue pure linen fabric with a waterfront scene of fishing boats... this has a sort of coast of France feel to it! 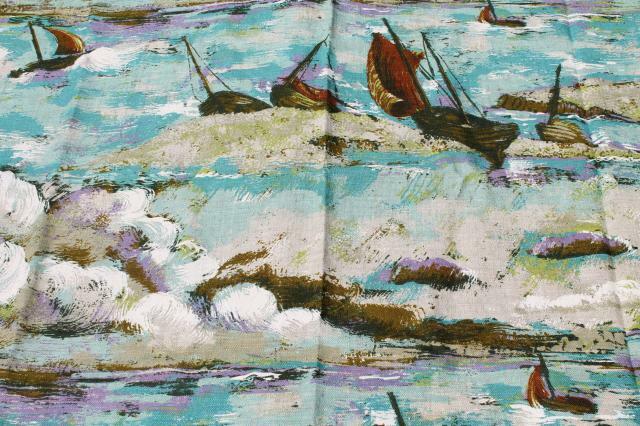 It's 56" wide x 2 yards in very nice condition, never used or laundered. 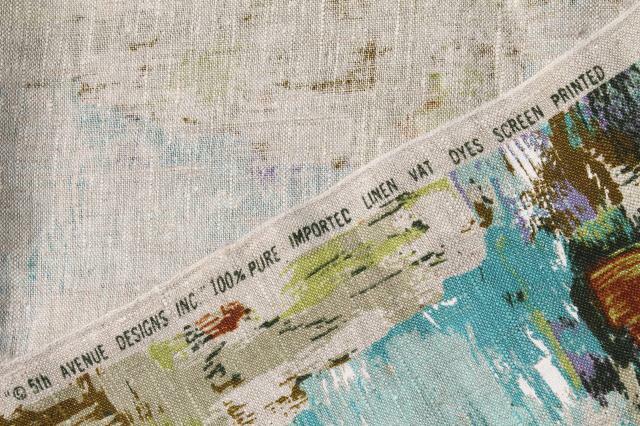 Pretty enough for framing, or to use as wall art 'canvases'.